In the previous steps we have discussed on why you should view trading as a business (step 1), how setup a financial goal (step 2), how to create a trading plan (step 3) and how to setup a trading journal (step 4). In this final step we will discuss on how to recognise buying signals in trading by using technical analyses. If you haven’t open a trading account yet or a demo account, please click on the links below. After this final step you can start trading and make money. You probably have heard about technical analyses. But what is it? Technical analyses is a tool that shows you the past price movements of a certain investment object. Many people are using this tool to predict future price movement that’s based on past movements. Many (including myself) use technical analyses to identify trends. In the world of technical analysis, there are three types of trends. 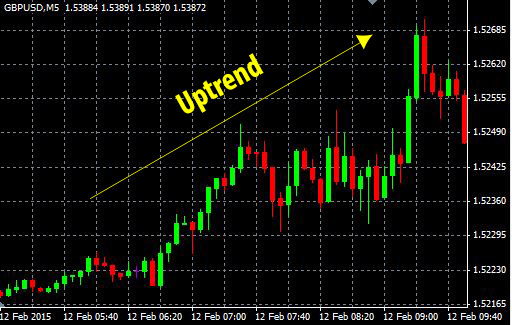 An uptrend is a trend where the prices goes higher and higher in a certain period. 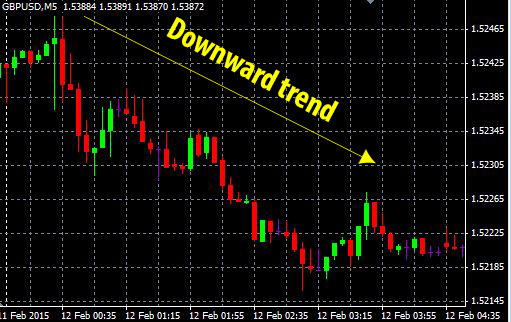 A sideway trend is a trend where there is a small change or no change at all in the prices for certain time of the period. A down trend is a trend where prices getting cheaper and cheaper in a certain period of time. By using trends you can identify an investment opportunity to make money. But be careful because you will never know when the trend might change. To reduce chance of losing money, it is best to look at the support line of that investment object. The picture above is an example of a support line and you can see that yahoo stock is in an uptrend. Combined with these two indicators you can create a moment to step in the trade for yourself. Some traders buy the investment object before they hit the support line but smart traders buy the investment object when the price hit the support line and bounce back as expected in a trend. Why is it smart to buy right after the bounce on the support line? Well, if you buy the investment object before it hits the trend line, there is still a chance that you can lose a lot of money. The reason for that is that you don’t have the guarantee that the trend is still intact. In the world of technical analysis there are many more indicators that you can use to increase the chance of winning on your investment. It’s too much to cover it all in one step. 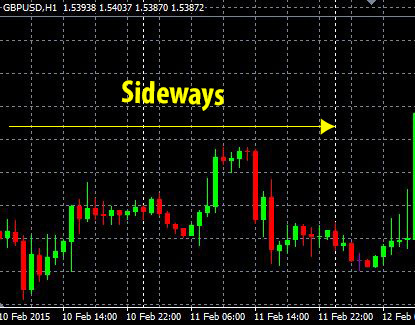 But by using these two indicators of the technical analyses you can already start to make some money. On behalf of our staff we wish you good returns on your investment. Keep visiting our website we will post frequently blogs that can increase the winnings for your investment.